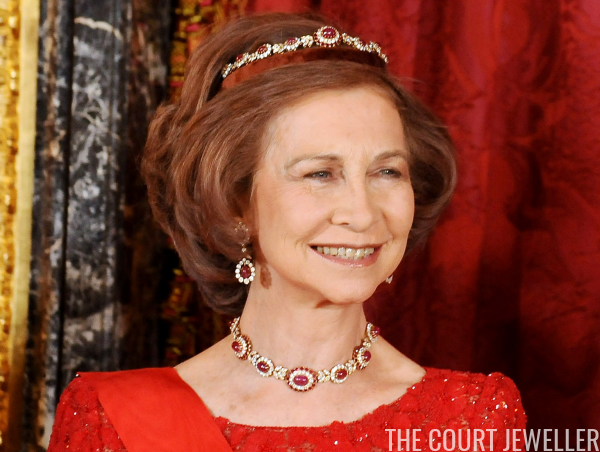 In honor of the Spanish state visit to the United Kingdom this week, we're going to be featuring loads of Spanish royal jewels here on the blog. 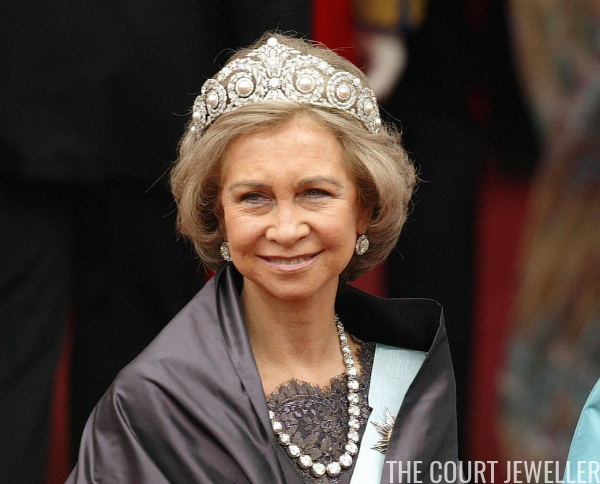 To start off, we've got a whole bunch of glittering tiaras for you to enjoy: ten of my favorite Spanish royal tiaras! 9. 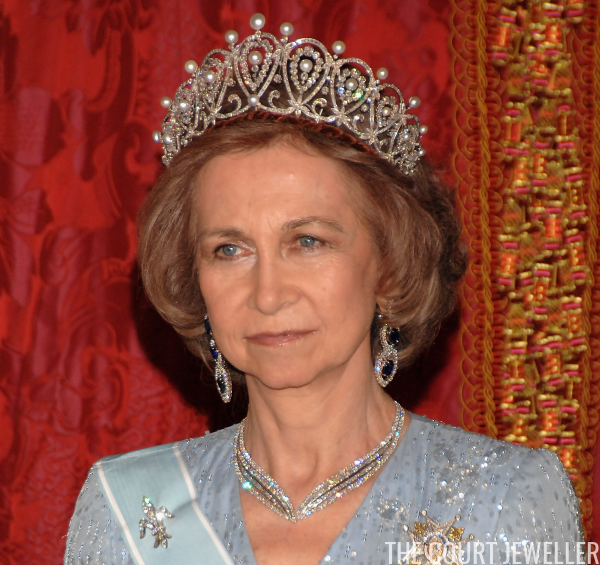 Infanta Pilar's Sapphire Tiara: King Juan Carlos's sister, Infanta Pilar, owns a diamond and sapphire tiara that once belonged to her mother, the Countess of Barcelona. 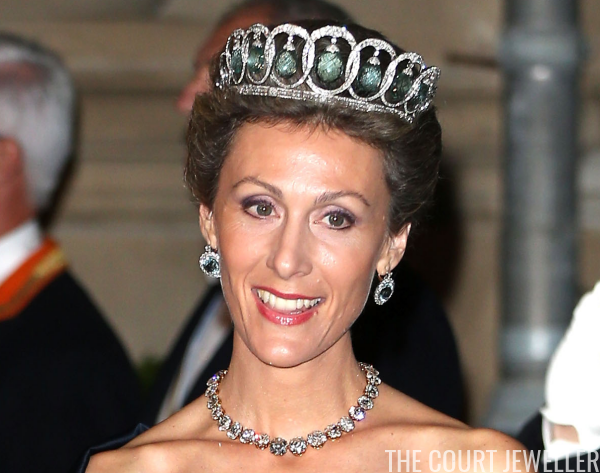 She wears the piece occasionally herself, and she's also loaned it out to other members of her family (including Laura Ponte, above, who wore it upside down) as a bridal tiara. 8. The Asturias Fleur-de-Lis Tiara: This diamond and pearl sparkler, made by Ansorena and now owned by Queen Letizia, has a complicated backstory surrounding its creation and acquisition. (Read much more over here!) No wonder Letizia decided to debut the tiara for the first time at a birthday party in Denmark, not a state occasion in Spain! Which tiara do you hope to see Queen Letizia wear during this week's British state visit?